The Emerald City Programming Group has started back up for the fall, starting today, Saturday, September 28, 2013. 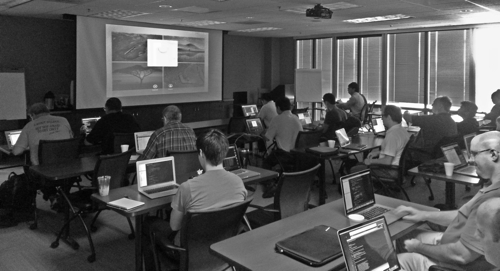 The first class had an excellent turnout with twenty two local budding Rubyists in attendance. The environment is extremely friendly. The volunteer instructors this year are Anjan Das and Carlos Gonzalez. The group supports Windows, Mac OS X, and Linux. Everyone is welcome.